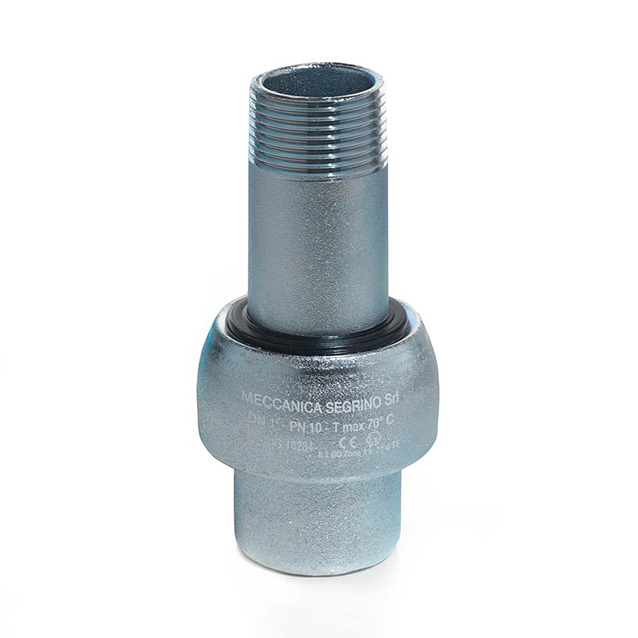 The Male-Female galvanized PN10 joints are threaded joints (external taper thread and internal parallel thread ISO7/EN10226-1), zinc coated and completely factory assembled. Threads make the installation easy and fast, while the zinc coating make the product more resistant to corrosion. 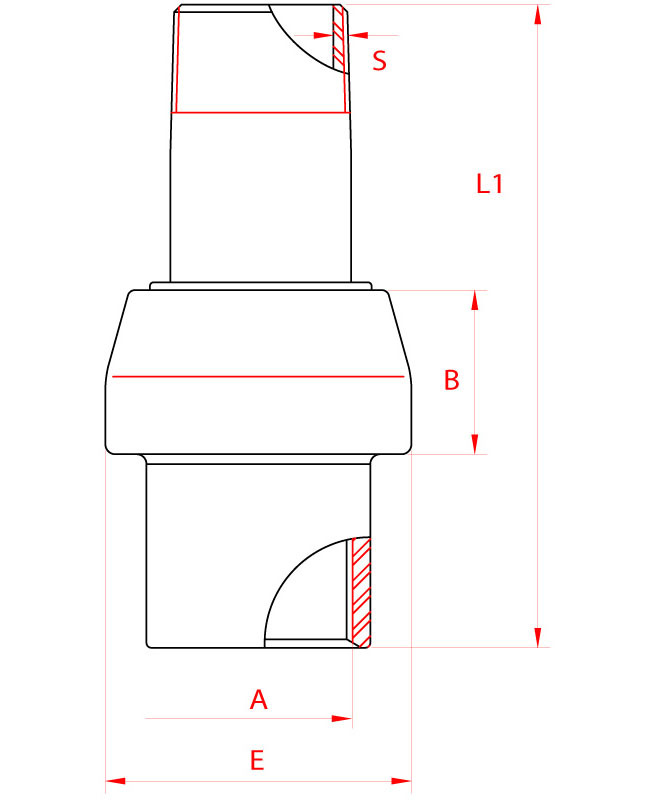 Male-Female galvanized PN10 joints are available in small diameters ranging from ½ in up to 2 in (see the whole range of diameters available in the table below). PN10 Male-Female galvanized joints are supplied from stock.